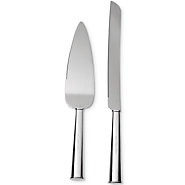 After the wedding reception, the kate spade new york Darling Point Cake Knife & Server dessert set will come in handy for other special events - as well as everyday use. The set makes serving quiche, cake and more easy as pie! And it makes a great gift for any occasion.